Our Staff — Prairie Voices Inc.
Geung Kroeker-Lee is the Artistic Director of Prairie Voices. Under the guidance of Dr. Elroy Friesen, Geung completed his Master of Music in Choral Conducting at the University of Manitoba. He holds a Bachelor of Music in Voice from the University of Manitoba, and a Bachelor of Education from the University of British Columbia. Geung also serves as the assistant conductor of Canzona, a professional baroque choral ensemble in Winnipeg. As a music educator, Geung teaches middle years general music at Arthur E. Wright Community School in Winnipeg. He has developed teaching and conducting experience through interim director roles with the University of Manitoba Singers and Women’s Chorus, and the Seycove Secondary School Choirs in North Vancouver, BC, and apprentice positions with Prairie Voices, the University of Manitoba Choirs, and the Ontario Youth Choir. An in-demand choral clinician and workshop facilitator, Geung has worked with numerous ensembles in the Vancouver and Winnipeg areas, and was most recently the guest conductor for the Central Manitoba Youth Choir. Johanna Hildebrand has enjoyed a life-long involvement in music of all styles and genres. Subsequent to the acquisition of Musical Arts and Education degrees from Canadian Mennonite University and the University of Manitoba, she has taught choir and fiddling in various schools, and presently teaches in the Seven Oaks School Division, where she teaches music, choir and fiddling. Johanna has performed and studied music since the age of two. Her musical interests have multiplied through the years, including various instruments and singing in numerous vocal and instrumental groups, most recently Renaissance Voices and the Canadian Chamber Choir. Johanna's choral experience includes working with singers of all ages through university, community, public and private schools and she has served as a guest conductor at various Manitoba choral days, including the Provincial Honour Choir. She recently served as the choral director of the Rainbow Harmony Project. She is widely travelled and enjoys her links to a variety of interests which include folk festivals, swimming and walking her 100 pound labradoodle! Katy is the Assistant Conductor of Prairie Voices, and has been involved in choral music since early childhood, and can't imagine not singing in a choir! Katy is currently studying Choral Conducting at the University of Manitoba, with Dr. Elroy Friesen. Originally from Toronto, Katy did her Bachelor of Music at Western University, in London, Ontario. 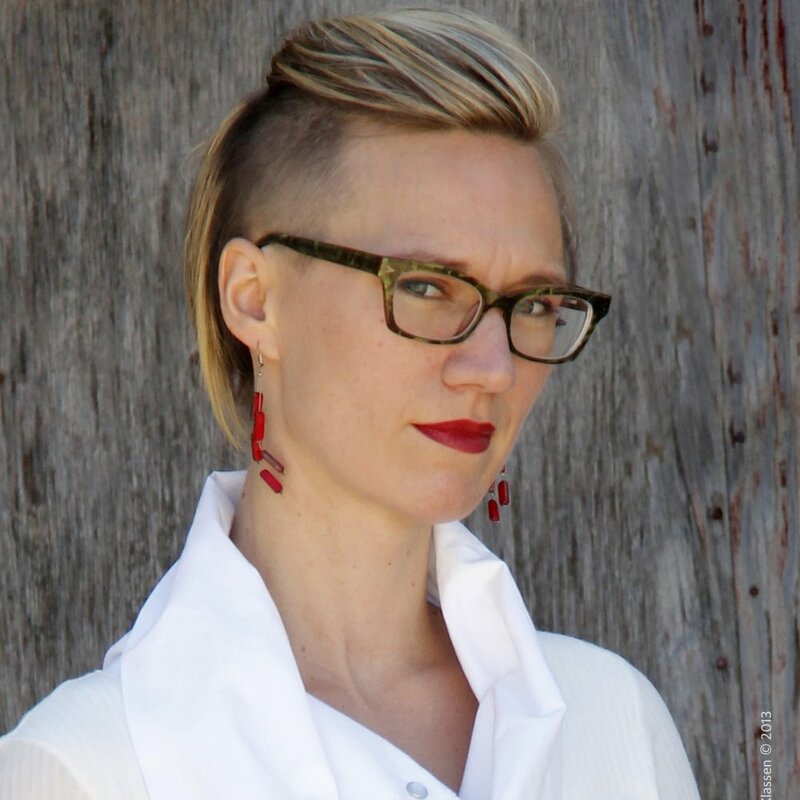 After spending a few years in Toronto singing in professional ensembles, teaching community music, and doing arts administration for the Canadian Children's Opera Company, Katy wanted a change of pace, packed up the car, and moved to Yellowknife, Northwest Territories. In Yellowknife, she was the founding co-director of the Ursa Miners Chamber Choir, and was very active in the arts and music scene. Now in Winnipeg, Katy sings with the Desautels Faculty of Music Choirs, is a Choral Scholar for the Canzona Baroque ensemble, and is co-founder of the Winnipeg Beer Choir. She is honoured to have the opportunity to work with Geung and Prairie Voices, and is looking forward to an exciting season ahead! Leanne has a passion for singing that began at a young age and lead her to pursue a Bachelor of Choral Music at Canadian Mennonite University, as well as a Bachelor of Education from the University of Manitoba. She has loved working in Manitoban schools as a choral educator, with a variety of program types and age groups, since 2010. Aside from her role as an educator, Leanne has developed her skills as a director through her work as a guest conductor for the Central Manitoba Choral Association and as a choir clinician for various high school ensembles. Most notably, Leanne was honoured to be one of Horizon’s co-directors in its inaugural and second seasons. After stepping away from the podium and into a singing role while starting a family, Leanne is now delighted to be back on the PVI artistic team, working with Johanna. Amanda Stegmaier is a life-long choir enthusiast, and has had a growing passion for singing since her early childhood. She has received her Bachelors of Music and Education from the University of Manitoba, and has vocal training in Classical, Jazz and Musical Theatre styles. She discovered her affinity for Music Education while studying conducting with Dr. Catherine Robbins, and proudly teaches early, middle, and senior years Choral Music in St. James-Assiniboia School Division. In recent years, Amanda has been a member of the University of Manitoba Women’s Chorus and University Singers under the direction of Dr. Elroy Friesen, and has had performance opportunities with the Winnipeg Symphony Orchestra, including Mendelssohn’s Elijah, The Winnipeg New Music Festival, and Monteverdi’s Vespers with Camerata Nova and the Royal Winnipeg Ballet. This year, she also made her Chorus debut in Manitoba Opera’s production of La Traviata. Amanda first joined Prairie Voices two seasons ago, quickly grew to love the unique community of the ensemble, and is looking forward to Assistant-Conducting for Bluestem! A born and raised rural Manitoban, Aaron Loeppky has from a young age enjoyed and participated in many things musical. Starting at the piano, Aaron has pursued his enjoyment of playing and singing through his youth and on into the University of Manitoba, where he holds a Bachelor of Music and a Bachelor in Education, with a focus on senior years choral instruction. Aaron has a variety of experience in the local music scene, including teaching senior years music, past involvement in several local choirs including Prairie Voices, University of Manitoba Singers and Camerata Nova, and numerous accompanying engagements in and around Winnipeg. He now finds himself employed in design, construction and woodworking, and fulfills his love of music as accompanist and assistant director of Horizon. A pianist with polymathic leanings, Ben Sellick has received degrees in film, philosophy, and piano performance from the University of Manitoba, and now works as a composer, pianist, and teacher, while pursuing projects in conducting, acting, and entrepreneurship. Having never sung a note before university, he became enamoured of choral music in the choirs of Dr. Elroy Friesen. A few of Ben’s favourite things are guacamole, slow travel, thunderstorms, and wool socks. Amy comes to PVI with an extensive background in the arts, both as a vocalist and as an administrator. She is passionate about creating opportunities to connect people with music, as demonstrated through her previous work with the Winnipeg Symphony Orchestra’s Education and Community Engagement department. Holding both a Bachelor of Music (Voice) and a certificate in Arts and Cultural Management, she is excited to use her passion and skills to build on PVI’s successes as part of the Winnipeg choral scene. Prairie Voices Inc. is governed by a board of directors elected at each year's AGM. The board holds monthly meetings that are open to the public. For more information, please contact Amy Wolfe at admin@prairievoices.ca.